You will need to learn Java. 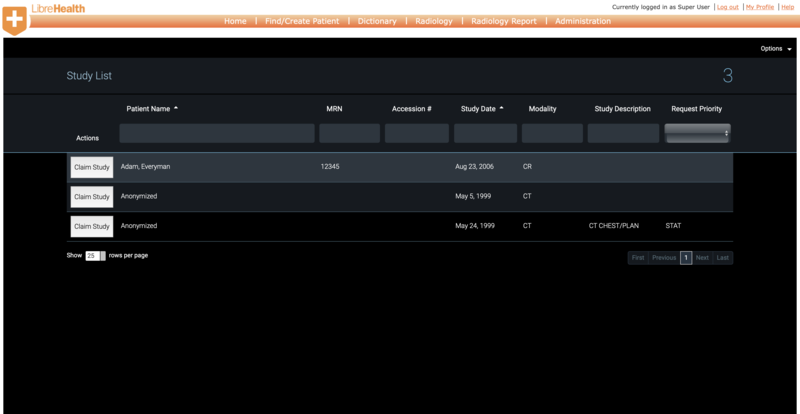 Where we can find the demo of the radiology site? Hello @judywawira , i spend some time to understanding Radiology Workflow and project with help of my friend he is medicine student :). i want to ask you, should i start working on project and if i have question can i ask here? error Invalid username/password. Please try again. i changed my password and tried again but i don’t work. am i missing something? DO NOT CHANGE THE PASSWORDS! I am rebuilding the Radiology server. Do not expect your changes to be persistent beyond the day. ah i see, i changed my user password. Sorry. It is all good now. what password? The Admin account is not yours, it belongs to everyone. Yes i know. I didn’t change anything. I changed my forum.librehealth password. Okay – yeah – you need be more specific – you had me worried. You know you can use GitHub OAuth, right? Yes i know. I am also making a project with Spring and OAuth support before i use JWT tokens and I also use Jhipster. But nowadays i had some issues and some exams so i cloudnt spend time on GSoC Intro: 3-tier architecture for FHIR Resource in lh-toolkit module` i think i can make it i mean i am using Hibernate more than 3 years now. How much time do i have? Ask all questions publicly – either here or on the chat. I do not want to see private chats happening. I do have the ability to check this, but I do not like doing it since it’s an invasion of privacy.